This post is sponsored in conjunction with PumpkinWeek. I received product samples from sponsor companies to aid in the creation of the PumpkinWeek recipes. All opinions are mine alone. 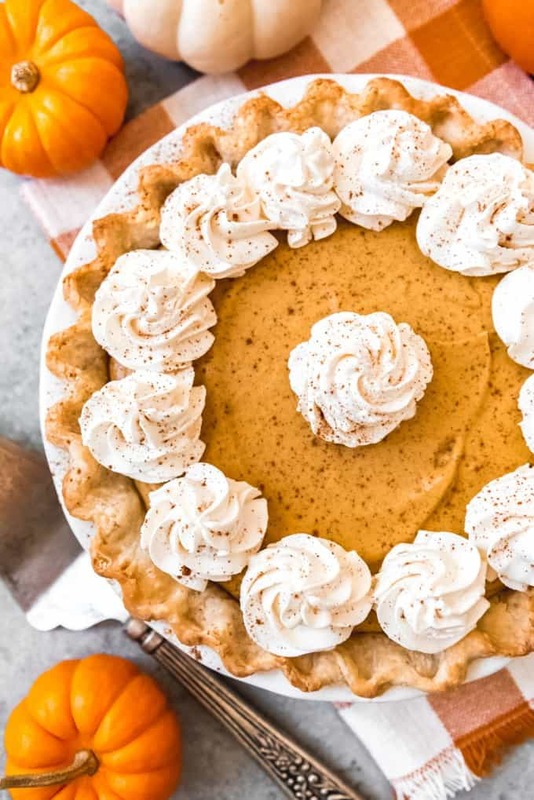 Up your pumpkin pie game this Thanksgiving holiday with a Pumpkin Chiffon Pie. 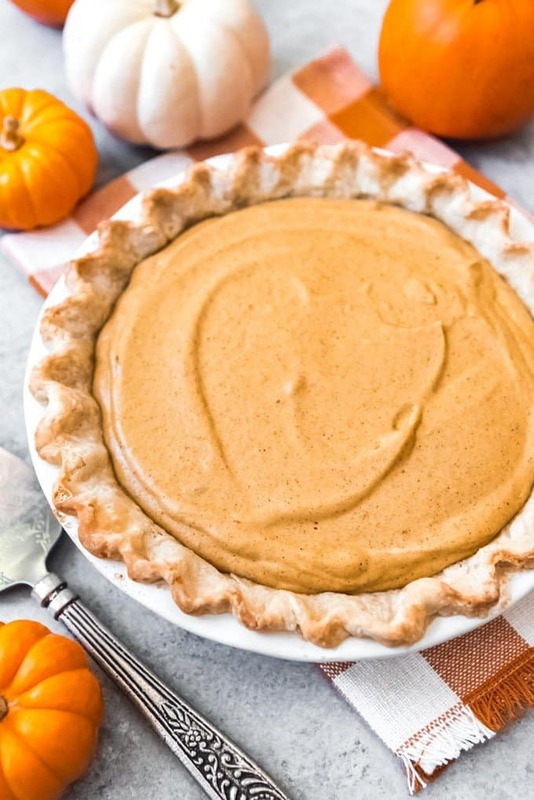 It is a lighter, airier version of the traditional pumpkin pie. Okay, confession time. I used to hate pumpkin pie. Like, my whole life until maybe just a few years ago when I learned it’s really not as bad as I always thought, especially when made with homemade pumpkin puree. But there was one exception. While I didn’t like traditional pumpkin pie, I DID like pumpkin chiffon pie, which is a fluffier version of the same thing. Turns out it was the dense texture of classic pumpkin pie that was turning me off and pumpkin chiffon pie changed all that. 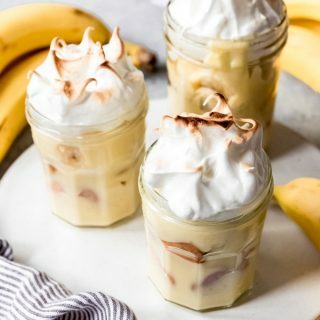 The filling takes on an almost mousse-like quality, which is unsurprising considering it is essentially pumpkin pie filling with folded in egg whites and stabilized with gelatin that gets refrigerated rather than baked. 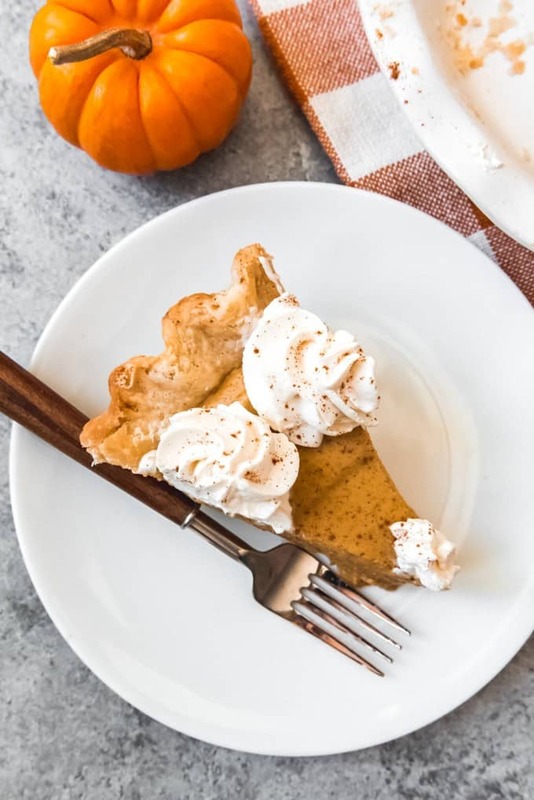 After a few hours chilling in the fridge, the pie is set and ready to be topped with whipped cream and showcased on your Thanksgiving dessert table! 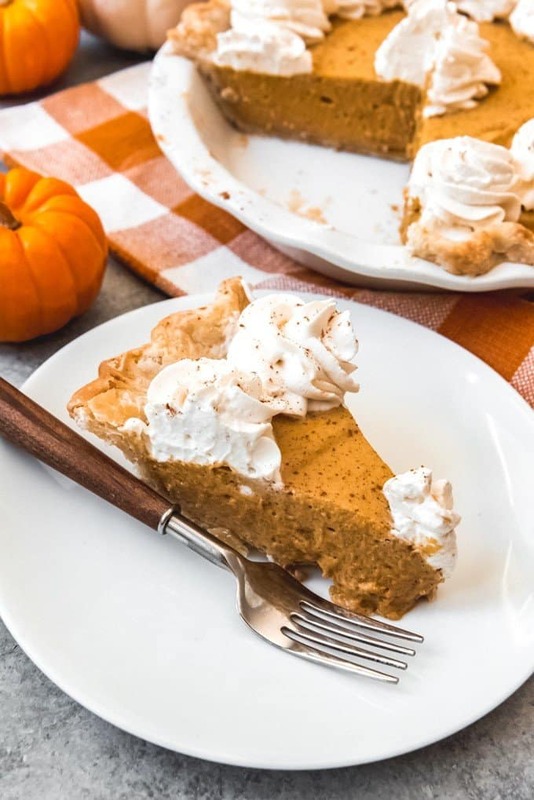 This isn’t quite a no-bake pie since you have to blind-bake the crust, but it is pretty close to being a no-bake pumpkin pie otherwise. Chiffon pies were created in 1926 by Monroe Boston Strause, a baker known as the “Pie King”. 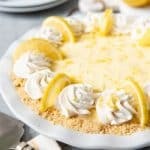 It is any kind of pie where the filling is made by folding meringue into a flavored base that has been stabilized with unflavored gelatin, like a lemon curd or spiced pumpkin filling. 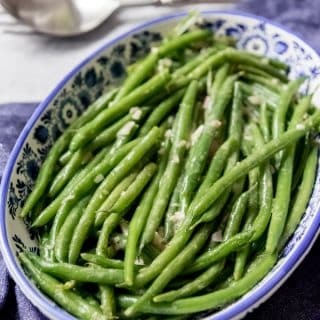 It makes for an airy, light pie filling that is truly unique. Blind bake a pie crust and cool completely. 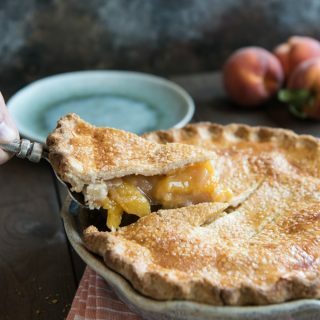 I have a few tips on how to blind bake a pie crust this in my perfect pie crust tutorial, if you have had trouble in the past. Dissolve gelatin in water. This step is super easy. Literally just sprinkle a packet of unflavored gelatin over 1/4 cup of water and let it sit while you mix everything else up. Mix pumpkin puree with the spices, egg yolks, milk, and some of the sugar on the stove. Cook for just 5-7 minutes over medium heat just until the mixture thickens slightly, but don’t let it come to a boil. Once the pumpkin mixture is hot and slightly thickened, add the dissolved gelatin and stir to combine, then let the filling cool completely. 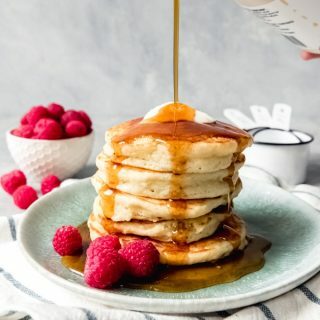 Beat egg white until soft peaks form, gradually adding the remaining sugar to make a meringue, then continue beating until stiff peaks form. 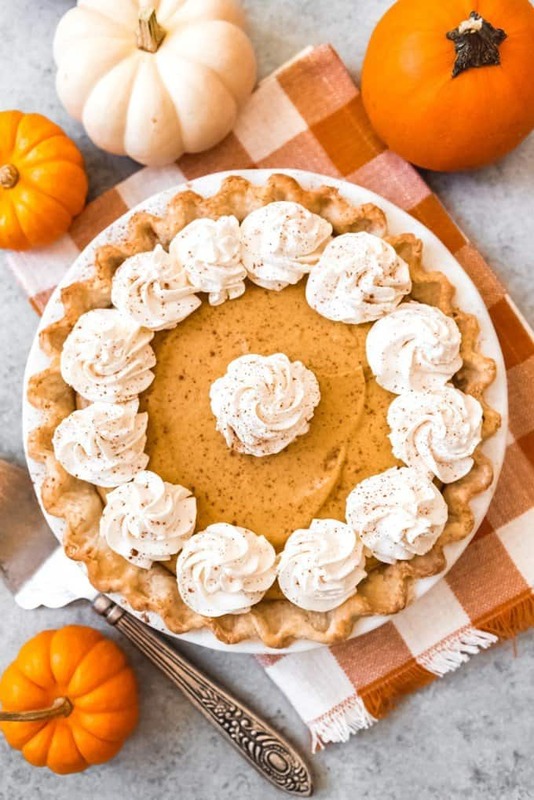 Fold the meringue into the cooled pumpkin filling, then pour into the cooled pie crust. Refrigerate until set, then top with whipped cream and a dusting of cinnamon. For lots more Pumpkin Week inspiration, keep scrolling past the recipe. And if you haven’t entered the giveaway for one of the fantastic Pumpkin Week prize packages from our sponsors, be sure to visit my post about Chicken Enchiladas with Pumpkin Sauce and scroll to the bottom of the post to enter! Blind-bake the pie crust in a 400 degree F. oven for 15 minutes with pie weights, then another 15 minutes until fully baked. Cool completely. Dissolve the gelatin by sprinkling it over the water in a small bowl and let sit for 5 minutes. In a medium saucepan, combine 1/2 cup of the sugar with the salt, cinnamon, allspice, nutmeg, cloves, egg yolks, milk, and pumpkin. Whisk well and cook, stirring frequently, for 5-7 minutes, just until the mixture is hot and has thickened slightly, but hasn't come to a boil. Remove from the heat and stir in the dissolved gelatin and vanilla. Cool completely to room temperature but don't refrigerate yet since the gelatin will set in the fridge. When the filling has cooled, beat the egg whites until soft peaks start to form. Continue beating, gradually adding the remaining 1/4 cup of sugar until stiff peaks form. Gently fold the stiffened egg whites into the pumpkin mixture, then pour it into the cooled pie shell. 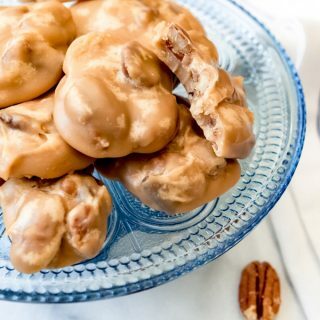 Refrigerate at least 4 hours or overnight until firm, then top with sweetened whipped cream and dust with cinnamon for presentation. Disclaimer: Thank you PumpkinWeek Sponsors: Dixie Crystals, Cabot Cheese, and Eggland’s Best for providing the prizes free of charge. These companies also provided the bloggers with samples and product to use for PumpkinWeek recipes. All opinions are my own. The PumpkinWeek giveaway is open to U.S. residents, age 18 & up. All entries for the winner will be checked and verified. By entering you give the right to use your name and likeness. The number of entries received determines the odds of winning. Three (3) winners will be selected. The prize packages will be sent directly from the giveaway sponsors. The PumpkinWeek Bloggers are not responsible for the fulfillment or delivery of the prize packages. 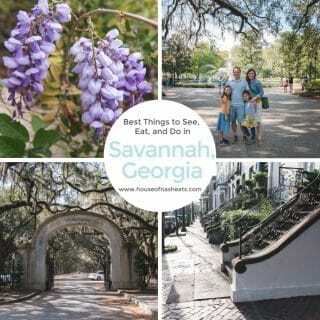 Bloggers hosting this giveaway and their immediate family members in their household cannot enter or win the giveaway. No purchase necessary. Void where prohibited by law. 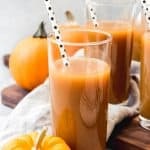 This promotion is in no way sponsored, endorsed or administered by, or associated with Facebook, Instagram, Pinterest, Twitter or any other social channel mentioned in the PumpkinWeek posts or entry. This is a gorgeous pie. Well that’s a critical omission, isn’t it?! 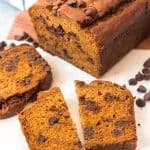 I’ve edited the recipe now but it’s just 1 full 14.5 ounce can of pumpkin puree or a little under 2 cups if using fresh pumpkin puree. 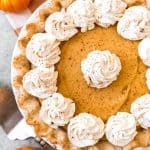 This recipe made me fall in love with pumpkin pie! It looks so delicious and comforting. 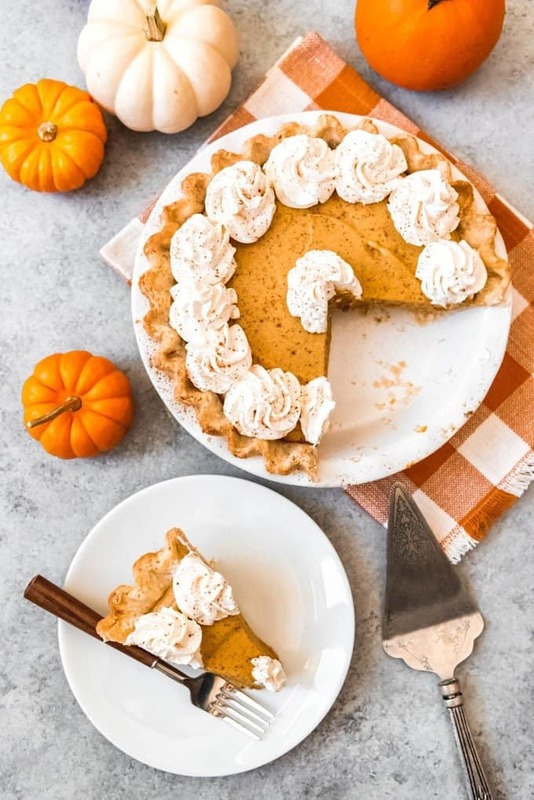 I love pumpkin season, and everything about it, especially pies like this beautiful one! Please pass a slice! I did a test run of this pie and couldn’t say enough how delicious it is! 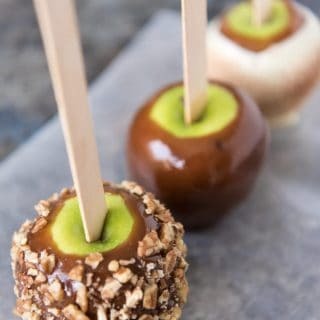 The family is going to love this for T-Day!! What a beautiful pie. This looks so creamy and delicious. Thanks for the tips on making the crust. That’s helpful! 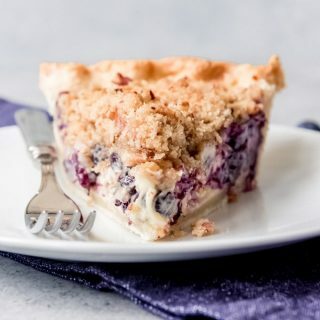 Fun facts on the invention of chiffon pie! Ive never had pumpkin chiffon…. it sounds divine! This pie sounds so good! I want a slice! 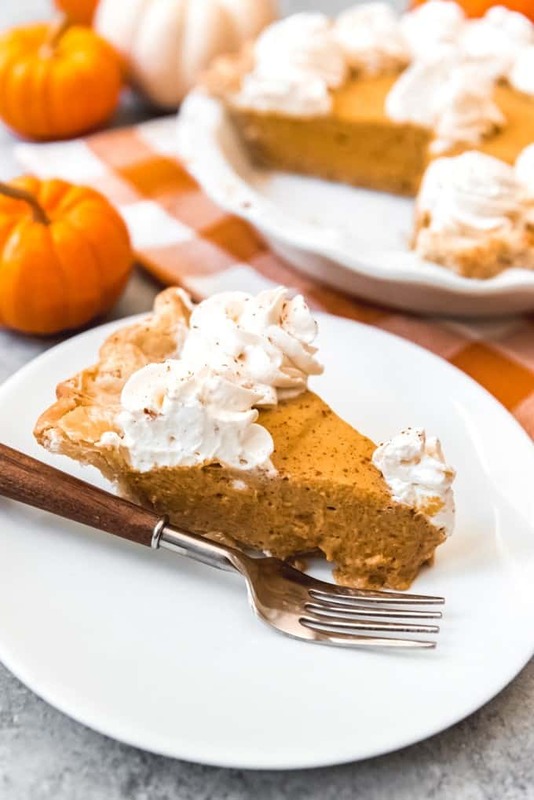 I am sad to say that I have never tried a pumpkin chiffon pie and I can’t wait to try it! 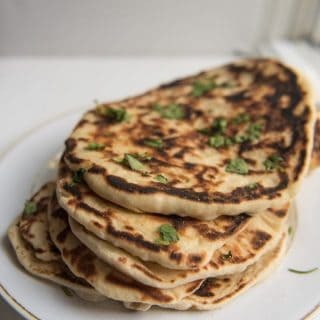 So light and fluffy but rich with all those flavors and spices!! I feel like I know you because I see your posts every day and save so many of tip. I was born Goan and Irish, but my adopted parents were Swedish. My adopted mom made Pumpkin Chiffon pie every year and I loved it. Thanks for the reminder.